I was recently asked to create a private website for about 100 members. The website was to be a private collaboration and discussion website and with the right plugins I found that WordPress worked out as a fantastic solution. WordPress was my obvious choice but I was initially uncertain whether it could all come together into a cohesive combination that worked well together. I used the Atahualpa theme because of its sheer flexibility. It has over 200 theme options which means you can really setup the site or any individual page just how you want it without delving into changing code or creating templates yourself. The main two stumbling blocks appeared to be privacy factor and the forum. Most popular forums such as phpbb, vbulletin or invision do not integrate with WordPress and would require two separate logins. That really would fracture the user base who was not too technically savy so this concept was discounted pretty quickly. I initially looked at buddypress but it appeared it was difficult to lock down effectively without fiddling under the hood. 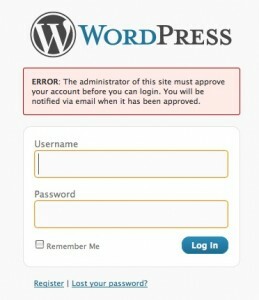 The next options were BBpress and Simple-Press which both integrated with WordPress albeit in different ways. Simple-Press is a true plugin whereas BBpress is a seperate program that integrates with a wordpress installation. After investigating I decided on Simple-Press because it was significantly more feature rich and seemed a better forum experience. BBpress default installation is quite a basic solution and customising it meant changes to code rather than a configuration panel. Simple-Press also automatic creation of forum topics for each blog article including reciprocal links to direct readers from the article to the discussion of it in the forum (and vice versa). With this feature turned on I actually turned off comments on the blog articles so all feedback and discussion was held in the forum. With Absolute Privacy a new user to your blog cannot login after the register till they have been approved. 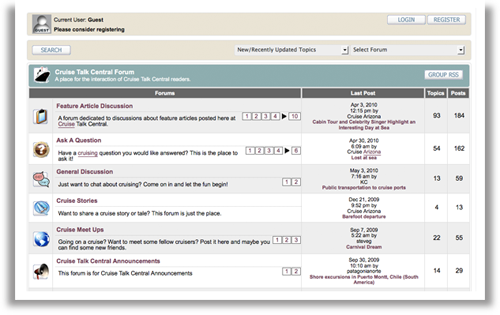 With the forum component decided on the next hurdle was the ability to lock down the website. I tested quite a few privacy plugins for WordPress but settled on Absolute Privacy. This plugin slightly alters the registration process so that a user is allocated the status of “unapproved user” and requires approval from the administrator before being able to login to the system. The system handles custom email messages to the user and the administrator informing them of the processes along the way. This way we could leave the registration ability of the site open rather for new users. Absolute Privacy also allows you to allocate particular pages as public and viewable by anybody so you can have a public front end and a private back end. Importantly the Absolute Privacy worked perfectly with Simple-Press and locked down all the forum access as well. Simple-Press has its own security built in which allows you forum privacy when installed on a public website but in this case we wanted an open forum once the users logged into the site. Absolulute Privacy allows you to lock down the rss feeds but I wanted to still allow them but keep them private. The answer was the Feed Key plugin which sets a unique key for each user. Simple Press also has feeds for the posts and comments in the forum but thankfully it already had its own feed keys so all RSS feeds where now private. Better Tag Cloud – This also provides a much better tag solution than the stock cloud. 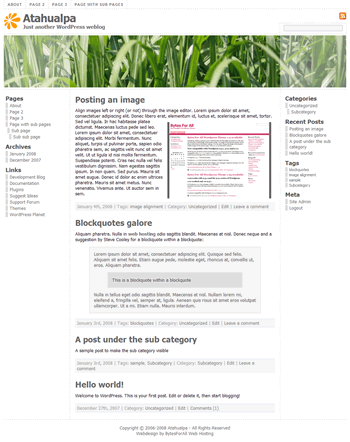 Flexi Pages Widget – This extends the page menu system beyond the basic widget available for WordPress. Events – I originally used the plug Event Calendar plugin but found this plugin much better and easier to work with. Event Calendar required events to be posts and they kept on inteferring with other parts of the site. Events allows anybody to add to the site calendar (selectable in options) and the events can link to third party websites or existing posts or pages on the private site. Google Analyticator – You just have to have a Google Analytics plugin installed. TinyMCE Advanced – This plugin adds a few extra features to the TinyMCE editing panel that is not on the default version. WordPress Backup (by BTE) – Lets face it, nobody does manual backups all the time. This plugin zips three seperate files sets. The uploads, plugins and themes and stores them on your hosting account. The plugin will then email you the files or you could use a scheduled ftp transfer to retreive them. WP-DBManager– This plugin is amazing. From its control panel you can optimise your wordpress database, save a backup or schedule a regular backup. You can download or restore any of the saved backups and setup automatic emailing of the backups. There are advanced tools to allowing you to delete tables, run SQL queries and much more. WordPress Download Monitor – The role of the File Library was handled by this plugin. It allowed file security so you have to be logged into an account to get access to the file as well as the ability to setup different categories and keep download statistics. WP Issuu – This allows the embedding of online documents so they can be read right on the screen. WP Render Blogroll Links – I used this to turn the standard links feature of wordpress into a links libarary for the membership. My Brand Login – this allows you to “brand” the login screen with your own logo rather than the standard wordpress logo. Subscribe2 – This allows email notification to the sites members when a new article is posted. ← Client and Customer Feedback – Are You Really Satisfied? Read with interest as I have set up something very similar using absolute privacy and simplepress. Someone pointed out though that before a new user has been approved, they already appear in the members list on the forum. interested to know if your set up has this glich as well?